It is perhaps ironic that one day after the dismal election of 2012 we are celebrating the 95th anniversary of the Russian Revolution. There could hardly be a starker contrast. In one case, the working class is presented with a choice between two representatives of the bourgeoisie, each of which is pledged to continue the assault on living standards and democratic rights that have marked the decade since 9/11. As long as the two parties of the bourgeoisie continue to define political life, there is no future. On the other hand, we recall a time 95 years ago when the working class shaped its own history and at a single stroke abolished the rule of capital. To be sure the coming to power of a proletarian regime did not bring about the transformation of social relations envisioned in the program of socialism. That was not possible in a single backward country still in the destructive grip of world war and economic breakdown. Nor is this the occasion for an explanation of how the proletarian regime that took power in 1917 underwent a bureaucratic degeneration in subsequent years culminating in the destruction of the flower of the revolution by the murderous regime of Stalin. Today is a time to reflect on and celebrate that moment in history when it appeared that the prophetic slogan - 'The meek shall inherit the earth' - could become a living reality. We salute the workers, soldiers and sailors who stormed the winter palace in 1917. They stood on the shoulders of Spartacus' rebellion against the Roman Empire, the German peasant revolt, the Diggers of the English Revolution, the sans-culottes of the French Revolution and the martyrs of the Paris Commune. 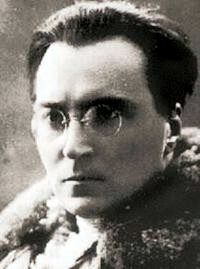 We are reprinting below excerpts from a chronicler of those events, the Left Oppositionist Victor Serge. His book, Year One of the Russian Revolution, is notable for its portrait of the mood of the ordinary participants in these events. While not ignoring the decisive role of the leaders of the Revolution, particularly Lenin and Trotsky, Serge's account brings to life the workers and soldiers who were the engine of the revolution. This state of feeling was general in the fleet. Two weeks before 25 October, the sailors of the Baltic squadron, anchored at Helsinki, demanded that no more time be lost, and that the destruction of the fleet by the Germans, which now appears to us to be inevitable, should be made holy by insurrection. They were willing to die: but only for the revolution. Since 15 May the Kronstadt Soviet had refused to recognize the Provisional Government. After the July riots, the commissars sent by Kerensky to board ships and arrest ‘Bolshevik agitators’ received only this curt response: ‘Agitators? We are all agitators.’ It was true. The masses had innumerable agitators. How much longer is this unbearable situation going to last? The soldiers have mandated us to tell you that if peace proposals are not presented immediately and seriously, the trenches will empty and the whole army will come home. You are forgetting all about us! If you cannot find the answer to the situation we shall chase out our enemies ourselves, at bayonet-point – but you will go with them! Such, Trotsky relates, was the language of the front. At the beginning of October the insurrection broke out everywhere, spontaneously; peasant risings spread all over the country. The provinces of Tula, Tambov, Ryazan and Kaluga are in revolt. The peasants have been expecting peace and land from the revolution. They have been disappointed; and so they rise, seize the granaries of the landlords, and burn down their houses. The Kerensky government re-presses the risings wherever it has the force to do so. Fortunately its resources are limited. Lenin warns that ‘to crush the peasant upsurge means the murder of the revolution’. Within the Soviets of the cities and the armies, the Bolsheviks, until recently a minority, become the majority. In the Moscow Municipal Duma elections, they win 199,337 votes out of 387,262. Of the 710 members elected, 350 were Bolsheviks, 184 Kadets, 104 Socialist-Revolutionaries, thirty-one Mensheviks and forty-one other groups. On the eve of civil war, the moderate, middle-ground parties now fall back, and the extreme parties gain. At a time when the Mensheviks are losing all real influence, and the governing S-R party, which only a short while before appeared to carry immense weight, is reduced to the third place, the Kadets – the bourgeoisie’s own party – acquire new strength as they line up to face the revolutionaries. At the last elections in June the S-Rs and the Mensheviks had obtained seventy per cent of the vote: their share now is eighteen per cent. 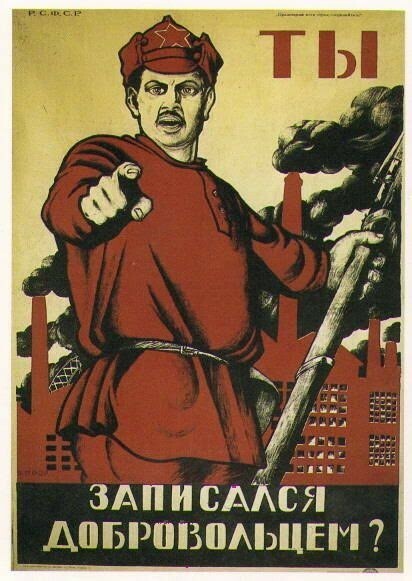 Of the 17,000 soldiers who vote, 14,000 are for the Bolsheviks. The Soviets are becoming transformed. Once the strongholds of the Mensheviks and the S-Rs, they are becoming Bolshevized. There are new majorities forming in them. On 31 August in Petrograd and on 6 September in Moscow, the Bolshevik resolutions put before the Soviet obtain a majority for the first time. On 8 September, the Menshevik-S-R executives of the two Soviets resign. On 25 September, Trotsky is elected President of the Petrograd Soviet. Nogin  is elected to the same position in Moscow. On 20 September, the Soviet in Tashkent takes power. It is suppressed by the troops of the Provisional Government. On 27 September, the Soviet in Reval decides in principle for ‘all power to the Soviets’. A few days before the October Revolution, Kerensky’s democratic’ artillery fires upon the revolutionary Soviet at Kaluga. All over this immense country, the whole labouring masses are moving towards revolution: peasants, workers, soldiers. It is an elemental, irresistible surge, with the force of an ocean. The masses have a million faces: far from being homogeneous, they are dominated by various and contradictory class interests; the sole means by which they can attain a clear-sighted consciousness – without which no successful action is possible – lies in organization. The rebel masses of Russia in 1917 rose to a clear consciousness of their necessary tasks, of their means and the objectives, through the organ of the Bolshevik party. This is not a theory, it is a statement of the facts. In this situation we can see, in superb relief, the relations that obtain between the party, the working class and the toiling masses in general. It is what they actually want, however confusedly, the sailors at Kronstadt, the soldiers in Kazan, the workers of Petrograd, Ivanovo-Voznesensk, Moscow and everywhere, the peasants ransacking the landlords’ mansions; it is what they all want without having the power to express their hopes firmly, to match them against the economic and the political realities, to formulate the most practical aims and choose the best means of attaining them, to select the most favourable moment for action, to extend the action from one end of the country to the other, to provide the exchanges of information and the necessary discipline, to co-ordinate the innumerable separate efforts that are going on – it is what they really want, without being able to constitute themselves into (in a word) a force of the requisite intelligence, training, will and myriad energy. What they want, then, the party expresses at a conscious level, and then carries out. The party reveals to them what they have been thinking. It is the bond which unites them from one end of the country to the other. The party is their consciousness, their organization. When the gunners of the Baltic fleet grew anxious for the perils hanging over the revolution, and sought a way forward, it was the Bolshevik agitator who pointed a way. And there was no other way, that much was clear. When the soldiers in the trenches wanted to voice their determination to finish with the butchery, they elected, to the committee of their battalion, the candidates of the Bolshevik party. When the peasants became tired of the procrastinations of ‘their’ Socialist-Revolutionary party, and began to ask whether it was not time to act for themselves, it was Lenin’s voice that reached them: ‘Peasant, seize the land!’ When the workers sensed counter-revolutionary intrigue all about them, it was Pravda that brought them the slogans of action that they already half-knew, the words of revolutionary necessity. In front of the Bolshevik poster the wretched folk passing by in the street stop and exclaim, ‘That’s just it!’ That is just it. This voice is their own. That is why the progress of the masses towards revolution is reflected in one great political fact: the Bolsheviks, a small revolutionary minority in March, become in September and October the party of the majority. Any distinction between the party and the masses becomes impossible, it is all one multitude. Doubtless, scattered among the crowds, there were many other revolutionaries: Left S-Rs (the most numerous), anarchists and Maximalists, who also aim towards the revolution. These are a handful of men swept along by events, leaders who are being led. How clouded their perception of realities is, we shall see by many instances. It is the Bolsheviks who, owing to their accurate theoretical appraisal of the dynamism of events, become identified both with the labouring masses and with the necessity of history. ‘The Communists have no other interests distinct from those of the working class as a whole’: thus the Manifesto of Marx and Engels. This sentence, written in 1847, now appears to us as one of fantastic foresight. Since the July days, the party has passed through a period of illegality and persecution, and is now barely tolerated. It forms itself into an assault column. From its members, it demands self-denial, passion and discipline; in return, it offers only the satisfaction of serving the proletariat. Yet we see its forces grow. In April it had numbered seventy-two organizations with a member-ship of 80,000. By the end of July its forces numbered 200,000 members, in 162 organizations. The events which now unfold in the two capitals are very different, but display a remarkable basic parallelism. The initiative in forming the Red Guards in Petrograd came from the factory workers, who began it instinctively after the fall of Tsardom. In disarming the old order they had to begin to arm themselves. In April, two of the Bolshevik militants, Shlyapnikov and Yeremeyev, began to put the spontaneous organization of the Red Guards into a systematic shape. The first regular units, if they can be called such, of’ this workers’ militia were formed in the outlying proletarian districts, principally in Vyborg. The Mensheviks and S-Rs tried, at first, to oppose the movement. At a closed session of the Soviet held in June, when they still had a majority, the Social-Democrat Tseretelli demanded the disarmament of the workers. He was too late. Proletarian command units had now been set up in every ward, and these were co-ordinated by a General Staff Headquarters for the city. Formed on a factory basis as a volunteer army – it was not individual workers but the factory as a whole that took the decision to enlist together or form its own unit-the first Red Guard detachments undertook the duty of protecting the great working-class demonstrations. During the July riots the Vyborg section kept the troops sent by Kerensky at a respectful distance. At this time Petrograd had about ten thou-sand Red Guards. 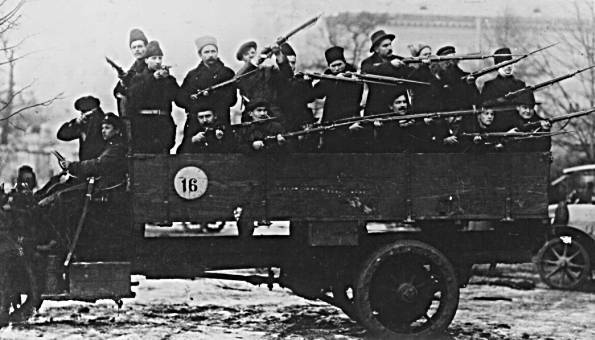 With Kornilov’s coup d’état (25-30 September) and the march of a Cossack division on the capital, the imminence of counter-revolution forced the Menshevik-S-R Soviet to arm the workers at speed. Not without friction: the munitions workers at Schiisselburg sent a bargeload of grenades, but the Soviet refused to take delivery of them – whereupon the Red Guard took delivery with-out further ado. The initiative of the workers made up for every-thing, sweeping past the insincerity and feeble will of the Socialists of ‘social peace’. The mobilization of the proletariat against Kornilov showed that an abortive counter-revolution can be as disastrous for the bourgeoisie as the failure of an insurrection is for the workers. In September, the use of weapons was being taught in seventy-nine Petrograd factories. In a good many factories all the workers carried arms. The military organization of the Bolshevik party could not find enough instructors for these masses. On the eve of the October rising, the Red Guard numbered20,000 men, organized in battalions of 400 to 600 each divided into three companies, a machine-gun section, a liaison section and an ambulance section. Some of the battalions had an armoured car. Non-commissioned officers (workers) headed the battalions and the companies. Duties were performed on a rota system, with two thirds of the workers at their jobs in the factory at any time, and the other third ‘on guard’, with wages at their job rate paid for time on duty. The rules of the Red Guard required, for admittance, sponsorship from a Socialist party, a factory committee or a trade union. Three absences without excuse were grounds for expulsion. Infractions of discipline were tried by a jury of comrades. Unauthorized use of arms was an offence, and orders had to be obeyed without discussion. Each Red Guard carried a numbered identity card. The officers were elected; in practice, though, they were often selected by factory committees and other working-class bodies, with nominations for senior posts always submitted to the ward Soviets for approval. If the officers had not already received military training they were obliged to take special courses. It is worth remarking that this impressive initiative on the party of Petrograd’s proletariat was the fulfilment of Lenin’s own wishes in the urgent advice he gave in one of his Letters From Afar, written from Zurich on 11 March 1917 (24, Old Style). This advice was ignored at the time and the letter was only published later on as a historical document. In it Lenin discusses the ‘proletarian militias’ and appeals to the workers: ‘Do not allow the police force to be re-established! Do not give up your own local organizations!’ And form a militia without delay, including the women and the young people. ‘ Miracles of organization must be achieved’, he concluded. In Moscow, it proved to be much harder to establish the Red Guard. The authorities, who were headed by S-Rs and Mensheviks, succeeded in virtually disarming the workers and part of the garrison. Grenades had to be manufactured in secret and explosives obtained from the provinces. The organization of the command and of communications was deplorably late. These weaknesses and delays were to cost the proletariat of Moscow a bloody street battle lasting six days. The military organization of the party now numbered more than 100,000 soldiers and a certain number of officers. Out of this, Military Revolutionary Committees were to be formed every-where, the organs that directed the insurrection. The conflict between the two powers (Kerensky’s Provisional Government and the Soviet) entered a new, sharp phase from 16 October, when the Military Revolutionary Committee, headed by Antonov-Ovseyenko, Podvoisky and Chudnovsky, was formed by the Soviet. The garrison in Petrograd had now been won over to the Bolsheviks. The government tried to send the most revolutionary regiments off to the front, arguing that a German offensive was imminent. The MRC, now with its own communications, intelligence and munitions departments, began by appointing commissars in every unit of the troops. The bourgeoisie was arming – but the appointment of commissars at the arms depots put a stop to that. The delegates of the MRC were welcomed warmly by the soldiers, who knew that the Committee was determined to prevent them being sent off to the front. The MRC in effect refused to countersign the order for the departure of the Red regiments, pleading that it needed further information on the defence forces now available. The MRC now assumed the functions of a General Staff for the Red Guards, and issued definite instructions to the troops not to pay any attention to orders proceeding from their regular commanders. From then on, the insurrection was, as it were, latent. Two powers took the measure of one another, and two military authorities, one of them insurrectionary, deliberately countermanded each other’s orders. The Second All-Russian Congress of Soviets was due to meet in Petrograd on 15 October. The Mensheviks succeeded in having it postponed until the 25th (7 November, New Style), thus gaining a respite of ten days for the bourgeoisie’s Provisional Government. Nobody could doubt that the Congress, where the Bolsheviks were certain of a majority, would vote for the seizure of power. ‘You are fixing the date of the revolution!’ said the Mensheviks to their Bolshevik opponents. In order that the predetermined conclusion of the Congress should not be a simple pipe-dream, it was necessary to support that decision by force of arms. Concerning the date of the uprising, two points of view were manifested: Trotsky wanted to link the action to the Congress itself, believing that an insurrection conducted on the party’s own initiative would have less chance of winning mass support; Lenin believed it ‘criminal’ to temporize until the Congress, since he feared that the Provisional Government would forestall the insurrection by a vigorous offensive. This fear, though legitimate, was not justified by the actual march of events: the enemy was caught napping. 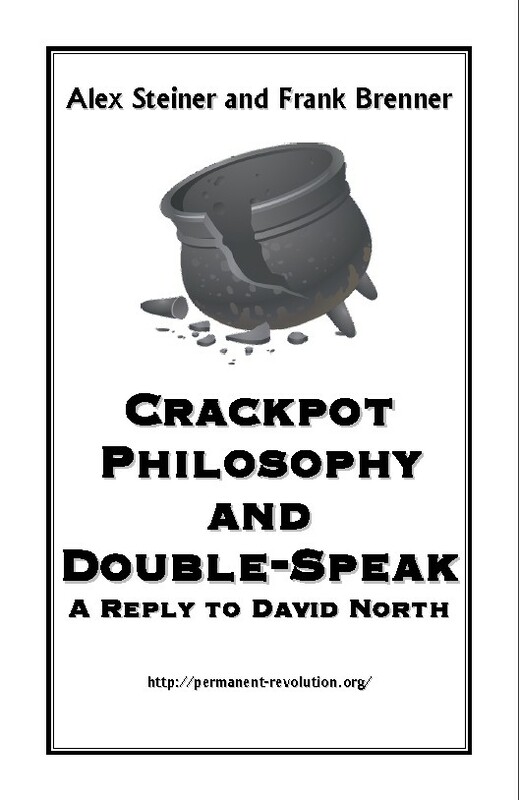 In our opinion, the conflict here arose from two perfectly correct conceptions arising from different vantage-points. One stemmed from the strategic consideration of linking the party’s action with a demand immediately intelligible to the broadest mass of people (‘All power to the Soviets!’); this is, naturally, a condition of success. The other was based on the general policy of shattering any illusion that genuine proletarian power could be institutedbefore the insurrection. Once this possibility was admitted in theory, why not allow of power without an insurrection? There lay the slippery slope. Ever since 1906, Lenin had attacked the tendency to gloss over or discard the question of insurrection, in favour of the question of the organization of revolutionary power ... His position of realism could be summarized as: Conquer first! And so Lenin wanted the insurrection to precede the Congress, which would have no alternative but to sanction the accomplished deed. He urged this policy in a personal meeting with the organizers of the insurrection. The details of the preparation interested him passionately: he would not have the attack put off at any price. Nevsky and Podvoisky tried vainly to persuade him that a few days’ extra preparation would only increase the chances of success. ’The enemy will profit by it too,’ he replied obstinately. Antonov-Ovseyenko has left a vivid account of his meeting with Vladimir Ilyich a few days before the rising, in a house in the working-class district of Vyborg. Lenin arrived in disguise; he was wanted by Kerensky’s police and in the event of capture would doubtless have ended his days through an ‘accidental’ bullet. The Peter-Paul Fortress was a source of considerable disquiet to the Military Revolutionary Committee; it was situated in the centre of the city on an island in the Neva, and bristled with guns. Its artillery overlooked the Winter Palace and its armoury held 100,000 rifles. Its garrison appeared to be loyal to the Provisional Government. Trotsky proposed that the fortress should be taken from the inside – by holding a meeting there. He went there with Lashevich, and succeeded. 22 October was the Day of the Petrograd Soviet, the occasion of the great plebiscite of the insurrection, as it were. The immediate cause of its meeting was fairly trivial, as often happens when events of immense importance are in the course of accomplishment and the last link, often a slender one, appears in the long chain of causes. The Central Executive Committee of the Soviets, still under the sway of the social-peace Socialists, had charge of the funds of the Petrograd Soviet. The latter body needed a news-paper. It was decided to hold a series of large mass meetings on the 22nd with the aim of raising money for the foundation of the journal. The bourgeois press, terrified by this mobilization of masses, proclaimed that it was a riot, Kerensky gave out apparently forceful utterances which were nothing but wind: ‘All Russia is with us! We have nothing to fear!’ He issued a threat against ‘all those elements, groups and parties who are menacing the liberty of the Russian people, running the risk of opening the front to Germany, of a final and complete catastrophe’. A regular Galliffet or Cavaignac,  to all appearances. But his threats were empty. The 22nd saw a tremendous mobilization of the masses. The people around me appeared to be in ecstasy. They seemed about to burst forth spontaneously in a religious hymn. Trotsky read a resolution to the general effect that they were ready to fight for the workers and peasants to the last drop of their blood ... Who was in favour of the resolution? The innumerable crowd raised their hands as a single man. I saw the burning eyes of men, women, adolescents, workers, soldiers, muzhiks. Trotsky went on. The hands remained raised. Trotsky said, ‘Let this vote be your oath. You swear to give all your strength, not to hesitate before any sacrifice, to support the Soviet, which undertakes to win the revolution and give you land, bread and peace.’ The hands remained raised. The crowd approved; they took the oath ... And the same scene was repeated all over Petrograd. The last preparations were made everywhere; everywhere they swore the last oath; thousands, tens of thousands, hundreds of thousands of men. It was the insurrection. On the morning of the 25th, the revolutionary forces at Kronstadt received orders to prepare to undertake the defence of the Soviet Congress (for the whole offensive was conducted under the formal pretext of defence). We may pause for a moment at the preparations in Kronstadt, one of whose participants (I. Flerovsky) has left an excellent account. The rational element of co-ordination,. the superb organization of the rising as a military operation con-ducted along the rules of the war-making art, is clearly demonstrated here, and forms a striking contrast with the spontaneous or ill-organized movements which have been so numerous in the history of the proletariat. The revolution did, indeed, go off in proletarian style – with organization. That is why, in Petrograd, it won so easily and completely. Another significant scene may be borrowed from Flerovsky’s memoirs. It is on board a ship steaming towards the insurrection. The delegate from the revolutionary headquarters enters the officers’ mess. Here, the atmosphere is different. They are worried, anxious, disoriented. As I enter and salute, the officers rise. They keep standing while they listen to my brief explanation, and the orders I give. ‘We are going to overthrow the Provisional Government by force. Power is being transferred to the Soviets. We are. not relying on your sympathy: we have no need of it. But we do insist that you remain at your posts, going about your duties punctually and obeying our orders. We shall not give you any unnecessary trouble. That is all.’ ‘We understand,’ the captain answered. The officers went off immediately to their posts, and the captain mounted the bridge. 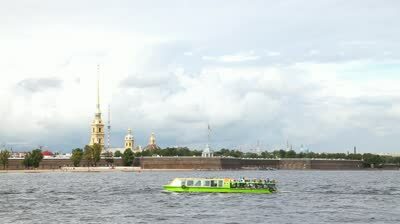 A numerous flotilla came to the assistance of the workers and the garrison. Up the Neva sailed the cruisers Aurora, Oleg, Novik, Zabyika and Samson, two torpedo-boats, and various other ships. Three comrades had been deputed to organize the seizure of the Winter Palace: Podvoisky, Antonov-Ovseyenko and Lashevich. With them Chudnovsky was working, a splendid militant from the earliest days of the party, who was soon to meet his death in the Ukraine. The former Imperial residence is situated in the centre of the city on the banks of the Neva; the Peter-Paul Fortress faces it 600 yards away on the other bank. To the south, the palace’s facade looks out over a vast paved square which contains the Alexander I Column. A historic spot. At the back of the square, in a semi-circle, lie the huge, respectable offices of the former War Department and Ministry of Foreign Affairs. Over this square, in 1879, the revolver shots fired by the student Soloviev cracked out, and the autocrat Alexander II could be seen running zigzag across the stones, with his head down, and pale with fright. In 1881 these dismal buildings were rocked by the dynamite charge set off under the Imperial apartments by the carpenter Stepan Khalturin. Under these windows, on 22 January 1905, soldiers opened fire on a crowd of workers who had come, carrying ikons and singing hymns, to petition the Tsar, the ‘little father’ of his people. Here lay about fifty dead and more than a thousand wounded; and the autocracy was wounded, too, to the death, by its own bullets. 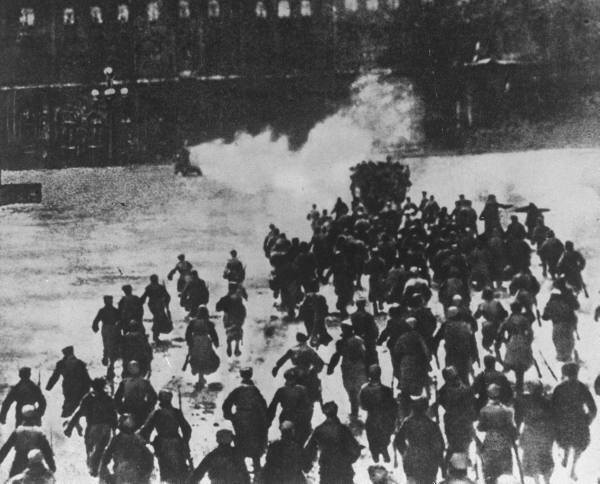 Now, on 25 October, from the morning onwards, the Bolshevik regiments and the Red Guards began to encircle the Winter Palace, where Kerensky’s government had its offices. The assault was planned for 9 p.m., although Lenin was impatient and wanted it all over before then. While the iron ring closed slowly around the Palace, the Congress of the Soviets was assembling at Smolny, in a former high school for young ladies of the nobility. In a small room in the same building, Lenin was pacing up and down nervously, still an outlaw, still in his old man’s disguise. Of every new arrival, he asked, ‘The Palace – has it not been taken yet ?’ His fury mounted against the ditherers, the procrastinators, the indecisive ones. He threatened Podvoisky – ‘We shall have to shoot him, yes, shoot him!’ The soldiers, huddled around fires in the streets near the Palace, showed the same impatience. People heard them murmur about how ‘the Bolsheviks are starting to play at diplomacy too’. Once more, Lenin’s feelings even on a point of detail were those of the mass. Podvoisky, certain of victory, kept back the assault. The doomed enemy was demoralized with all the anxiety. Revolutionary blood was now easily spared, and each drop was precious. The first summons to surrender was conveyed to the ministers at six o’clock. At eight, there was a second ultimatum. Under a flag of truce, a Bolshevik orator addressed the defenders of the palace, and the soldiers of a crack battalion crossed over to the revolutionaries. They were welcomed by loud hurrahs over the square which was now the field of battle. A few minutes later, the Women’s Battalion surrendered. The terrified ministers, guarded in a vast room without lighting by a few young officer-cadets, still hesitated to give in. Kerensky had run off, promising them that he would return shortly at the head of a troop of loyal soldiers. They expected to be torn to pieces by a howling mob. The guns of the Aurora – firing only blank cartridges! – finally demoralized the defending side. The Reds’ attack met only very slight resistance. Grenades exploded on the great marble staircases, there were hand-to-hand tussles in the corridors. In the twilight of a great ante-chamber, a thin line of pale cadets stood with bayonets crossed before a panelled door. The ministers of Kerensky go off to the Peter-Paul Fortress, that old Bastille which has held all the old martyrs of Russian free-dom. There they meet the ministers of the last Tsar. It is all over. In the adjoining areas of the city, normal traffic had not been interrupted. On the quays, the idlers were staring peaceably. One detail more on the organization of the attack. In order to ensure that any temporary successes won by the enemy should not interrupt their work, the military leaders of the uprising had prepared two reserve headquarters. All over Russia, the vast majority of peasants have said: Enough of playing with the capitalists, we are marching now with the workers! One single decree, abolishing the landlords’ property, will win us the trust of the peasantry. They will realize that their only safety lies in their association with the workers. We shall inaugurate workers’ control of industry. The roar of the guns makes the glass in the windows rattle. 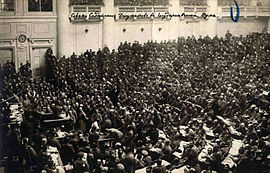 The Mensheviks and Right S-Rs denounce the ‘crime which is taking place against Fatherland and Revolution’, and a sailor from the cruiser Aurora comes to the rostrum to answer them. Late in the night, the Left Socialist-Revolutionaries resolved in the end to follow the Bolsheviks and remain in the Congress. An excellent blog. I notice that neither the SEP nor the ISO bothered to commemorate the anniversary. Victor Serge is a wonderful writer, and in describing these historic events his writing has the exciting immediacy that one remembers from John Reed's famous book Ten Days That Shook the World. One thing I was struck by in the passages chosen by Alex was the dynamic way Serge portrays the role of the party in directing, forging and uniting the consciousness of the masses. 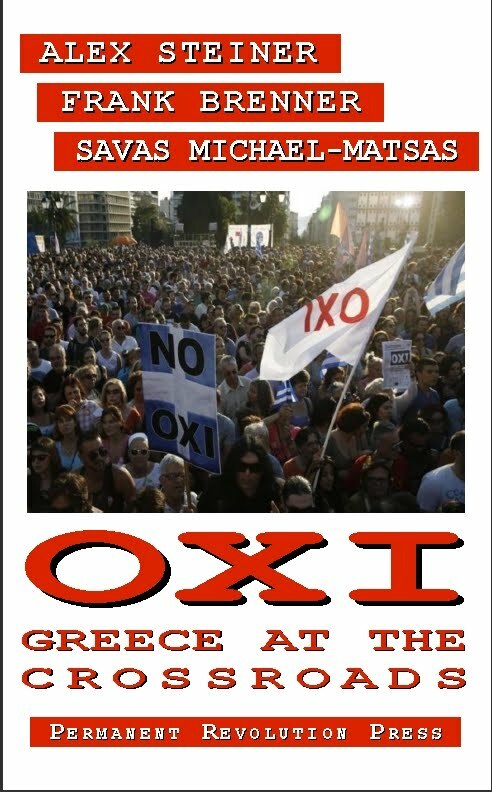 What a contrast that is with the recent experience of the Occupy movement! In the latter case, all the goodwill and mass energy was allowed to dissipate into futile gestures, all in the name of asinine anarchist romanticism. In the case of the 1917 revolution, the energy of the masses was mobilized, providing it with a clear direction and purpose. What that did was turn half-conscious yearnings and impulses into fully realized revolutionary consciousnsess - and it's only political organization by revolutionaries that makes it possible for this consciousness to thrive. The anarchists substitute for that nothing more than wishful thinking. Serge also stresses something about Lenin that Trotsky and other Bolsheviks noted - the almost intuitive link Lenin had with the consciousness of the masses. Even the revolutionary impatience of the masses found expression in Lenin's own impatience with the plans for the insurrection. Wilhelm Reich once called Lenin the greatest mass psychologist in history. I think that it is hyperbole but not without a grain of truth. I would only add that Lenin's ability in this regard was not something instinctive, it wasn't, for example, a 'common touch' as the media sometimes describes bourgeois politicians (e.g. Bill Clinton) as having. In fact Lenin spent most of his political career outside Russia and so had little chance for direct contact with the masses. Yet, despite this considerable disadvantage, Lenin had the ability to think inside the heads of workers. I think this can be explained by two things: first, Lenin's revolutionary program coincided with the objective needs of the working class; and second, Lenin's working through of dialectical philosophy in the early years of the war gave him an acute insight into the decisive role of the subjective factor in revolutionary change. In other words Lenin's 'intuition' was the outcome of a profound theoretical consciousness, so profound that it had become, by 1917, a second nature for him.